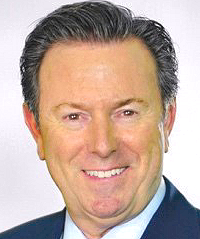 Entercom/New Orleans Names Kevin Cassidy SVP/Market Mgr. Entercom/New Orleans appoints 30-year radio vet Kevin Cassidy as Senior VP/Market Manager for its cluster there, effective November 14. He'll oversee WWL-AM & FM, WEZB-FM (B97), WKBU-FM (Bayou 95.7), WLMG-FM (Magic 101.9) and WWWL-FM (The New Hot 92.9 FM). Cassidy most recently served as General Sales Manager for Entercom Dallas. He previously worked as President of D&R National Radio Sales and VP/Director of Sales for iHeartRadio in Dallas. "We are excited to have Kevin take on the role of Market Manager in New Orleans," said Entercom Regional President Brian Purdy. "Kevin's vast industry experience, audio and marketing innovation, paired with outstanding leadership qualities will help raise the bar for our team in NOLA." "I am excited to start the next chapter of my career overseeing this strong portfolio of stations in New Orleans," added Cassidy. "I relish this opportunity to work with the team and I look forward to leading our stations to anticipated growth in this market."